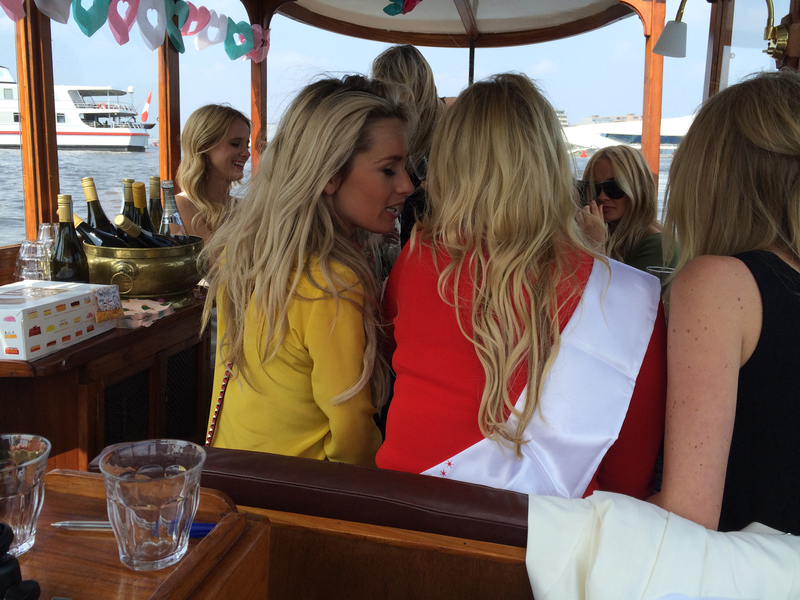 Make your friends’ Hen Do / Hen party in Amsterdam perfect by cruising in a private boat on the canals! Experience the beautiful atmosphere from the water under the enjoyment of a good glass of wine and tasty food. The popular private boat tours at Rederij De Jordaan accommodate Hen Do / Hen Party groups of up to 12 people. The clean and quiet licensed canal boats are ideal for your Hen night or Hen party. The experienced and certified captain always ensures that your private boat tour exceeds your expectations. Your canal tour will be customised to your specific requirements with regards to pickup, stops, drop-off and snacks and beverages.